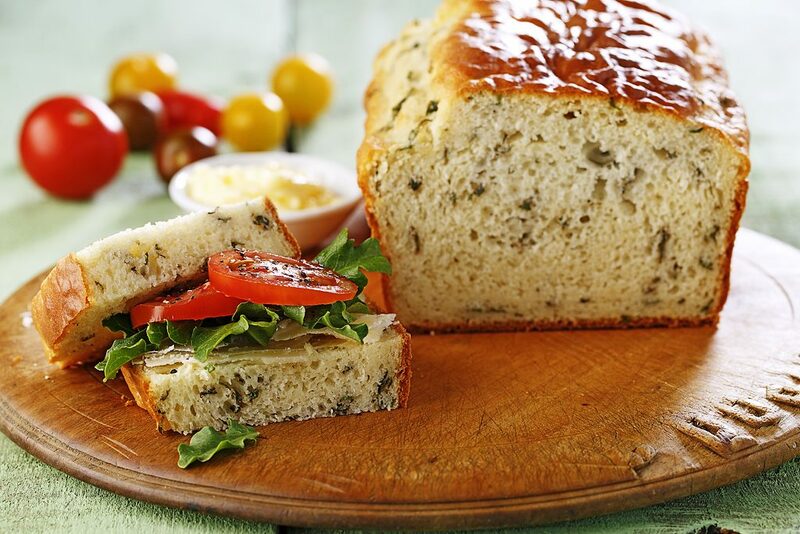 Yep, this fantastic Basil Quick Bread requires no kneading! That means all you have to do is mix, pour and bake – Ta-Da! 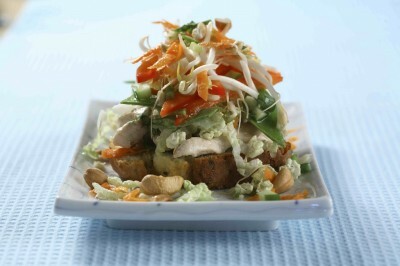 This bread goes great with our Can-Thai Salad. Just scoop some on top of a fresh slice! In a large bowl, sift together flour, sugar, baking powder, dry mustard, salt and basil leaves. In a separate bowl, whisk together eggs, milk and canola oil. 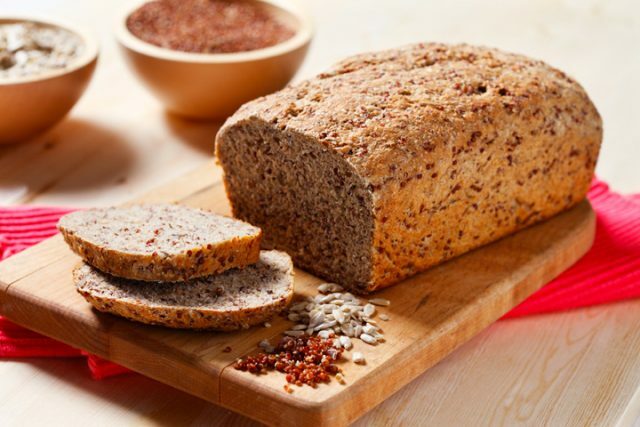 Stir liquid ingredients into dry ingredients, just until all ingredients are moistened. Pour batter into greased and floured 9 x 5 inch (23 x 13 cm) loaf pan. Bake at 350°F (180°C) for about 60 minutes or until done and a toothpick inserted into the centre comes out clean. Cool on a wire rack 15 minutes. Remove from pan, place loaf on wire rack and cool completely.